Representatives from the ICC, UN, state governments and NGOs came together with victims of grave crimes last month to underscore the importance of the Court’s mandate to deliver reparative justice. 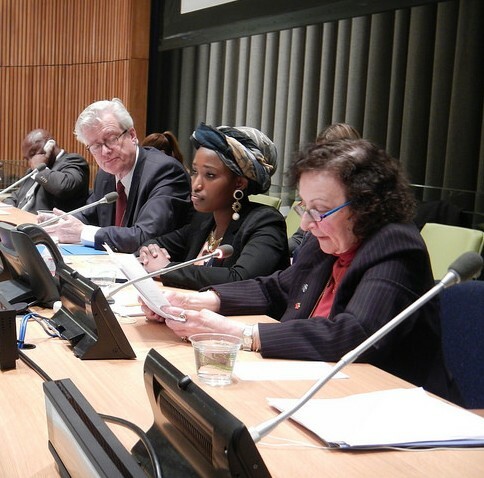 The meeting on “Prevention of and Ending impunity for genocide, crimes against humanity and war crimes: the role of the ICC in fulfilling victims’ rights and delivering reparative justice”, was convened by the “Group of Friends of the ICC”—a group of ICC member states that meets regularly at the UN—and co-organized byParliamentarians for Global Action (PGA) and Yael Danieli, co-founder of the International Society International Society for Traumatic Stress Studies and founder of the Victims’ Rights Working Group. 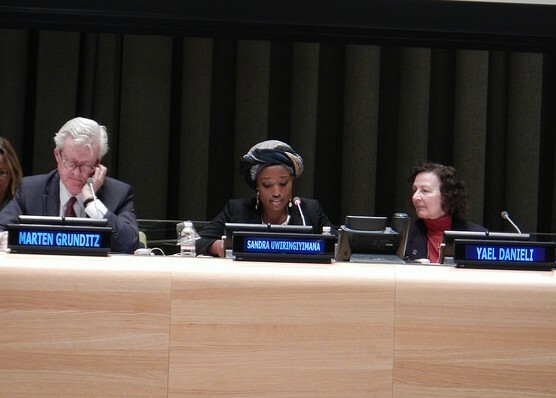 Throughout the meeting, speakers underscored the importance of a victim-oriented approach to justice. The ICC is the first international court to give victims with the opportunity to participate in legal proceedings. This innovation in international criminal justice was a result of lessons learned from the international criminal tribunals for Rwanda and the former Yugoslavia, according Stephen Mathias, the assistant secretary general for legal affairs at the UN. Ambassador Mårten Grunditz, Sweden’s permanent representative to the UN, noted that the ICC is unique in that it provides both retributive and reparative justice—it brings criminals to justice while also assisting victims to rebuild their lives. Danieli shared with meeting participants her research on reparative justice and reparations for victims of crimes against humanity. She stressed that the judicial process is just as important as the outcome for victims. Affording victims the opportunity to voice their concerns and opinions at all stages of proceedings helps them to experience the justice process as one of healing instead of re-traumatizing. These concepts were underlined by the personal experience of Sandra Uwiringiyimana, a survivor of the 2004Gatumba massacre in Burundi. Uwiringiyimana noted that remembrance and accountability are important parts of the healing process for victims. The meeting also included a discussion of the practical work of implementing reparative justice. Pieter de Baan, executive director of the ICC’s Trust Fund for Victims, discussed the work of his organization, which implements Court-ordered reparations and provides general assistance to victims and their families. De Baan noted in particular that the Trust Fund engages with victims and their families as soon as the ICC has established jurisdiction in a country or area. While the Trust Fund has already helped over 110,000 victims in Uganda and theDemocratic Republic of Congo (DRC), de Baan recognized the need for voluntary contributions from states in order to ensure the Trust Fund continues to fulfill its mandate. This last point was seconded by Susannah Sirkin, director of international policy and partnerships for Physicians for Human Rights. Presenting her perspective from the field in the DRC, Sirkin highlighted the gap between the needs of victims and the ability to meet those needs. According to Sirkin, the Trust Fund and other responsible parties do not yet have the capacity to deliver crucial services like medical and psychosocial support. But the ICC and Trust Fund for Victims are not the only avenues for delivering reparative justice. As emphasized by Djordje Djordjevic, rule of law, justice and security advisor at UNDP, national efforts to prosecute grave crimes and create local mechanisms for delivering reparations are crucial to expanding access to justice. The meeting also provided the opportunity to hear from victims themselves. In addition to Uwiringiyimana, Central African MP, Marcel Djimassé, chair of PGA’s Central African Republic (CAR) national group, shared his thoughts on the conflict in his country. 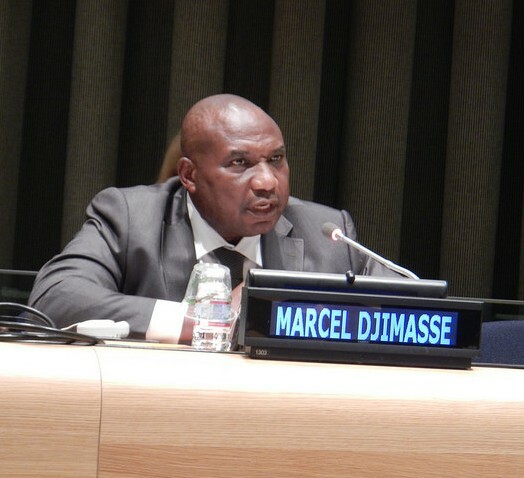 Djimassé condemned the impunity rampant in the CAR and highlighted the need for the international community’s support stop atrocities and hold the perpetrators accountable. In lauding the work of the ICC, he also noted the need for national efforts to build a strong judicial system that is able to fight impunity and lay the groundwork for peace and reconciliation. Drawing the discussion to a close, Ambassador Tiina Intelmann, president of theAssembly of States Parties to the Rome Statute, recalled that efforts to advance international justice can only be successful to the extent that the process and outcome prioritize the experience of the victims.